Info: Created on 21st January 2013 . Last edited on 22nd January 2013. @Aarilight - Is this font based on a game or other display from a computer program/computer system? Concerning your inquiry (on Westward Ho): FS is capable of a lot, if you go large scale. If you look at my font Media SA, for example, you'll notice a lot of small details that can only be done large. 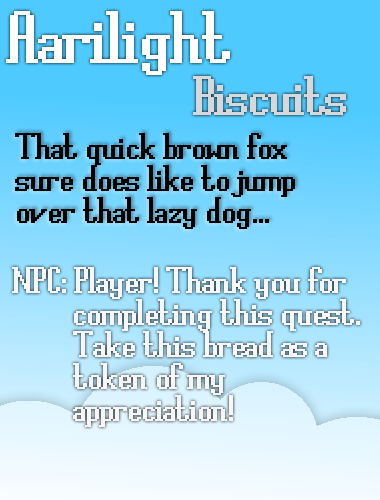 That font is about eighty blocks high just to give you an example.